Destiny’s story, though originally thin, is now full and complex, especially when taking the Grimoire into consideration. We’ve done some of the hard work to bring you a summary of the Destiny story so far. Below is an overview of what happened just prior to your Guardian reviving and what follows. Humanity’s first venture to Mars was rewarded with the discovery of The Traveler, a giant white sphere who had fled an ancient nemesis. 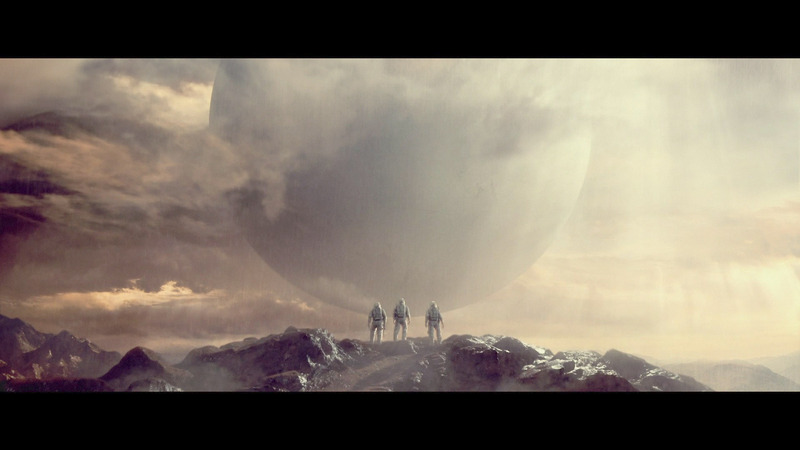 The Traveler followed us back to Earth where it shared its technology and secrets. Humanity, with this newfound technology, was propelled into the future. Human lifespans tripled. It was a Golden Age in humanity’s history. We explored our solar system, settled new planets, and flexed our might. But something happened, something drove us back home. A Darkness most perverse knocked us back down, a period we call The Collapse. We fought and we lost. 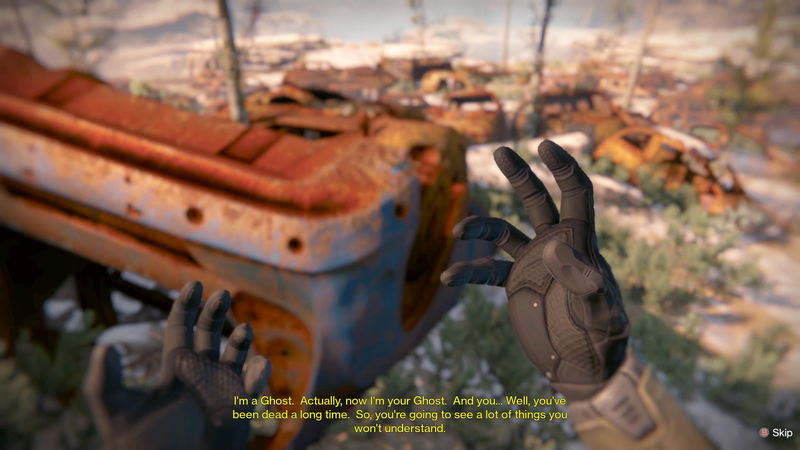 Even the Traveler was mortally damaged, but in its dying breath it created Ghosts, artificial intelligence born from the Light of the Traveler and tasked with finding heroes. These heroes, raised from the dead, are called Guardians. From all over the Earth, Guardians struck out into the wasteland that was once humanity in search of the Traveler. They found it crippled and inert, but not dead. Beneath the Traveler and in its supposed protection, the Last City was constructed, a bastion of humanity. 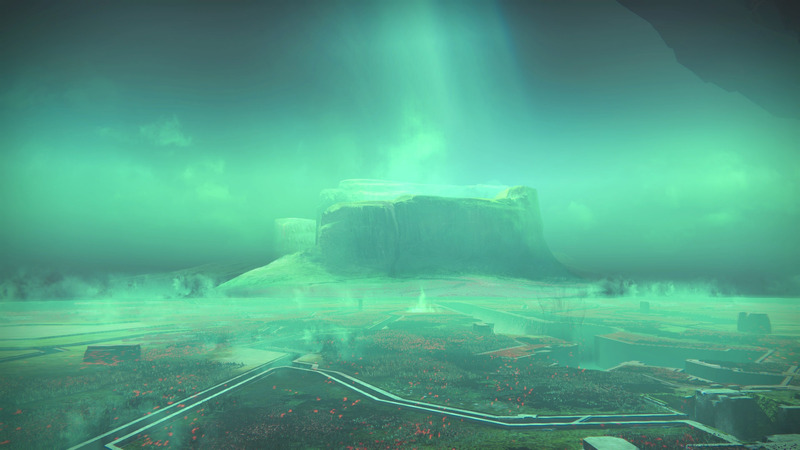 From here, many Ghosts set out to find more Guardians, fighters needed to help humanity push back against the Darkness. To help reclaim what was lost. This is where you started your journey in Destiny, awakening from the earth after an untold amount of time. A Ghost had finally found you and brought you forward into the world. But the world was plagued with remnants of The Collapse. The Fallen had a stranglehold on Earth. 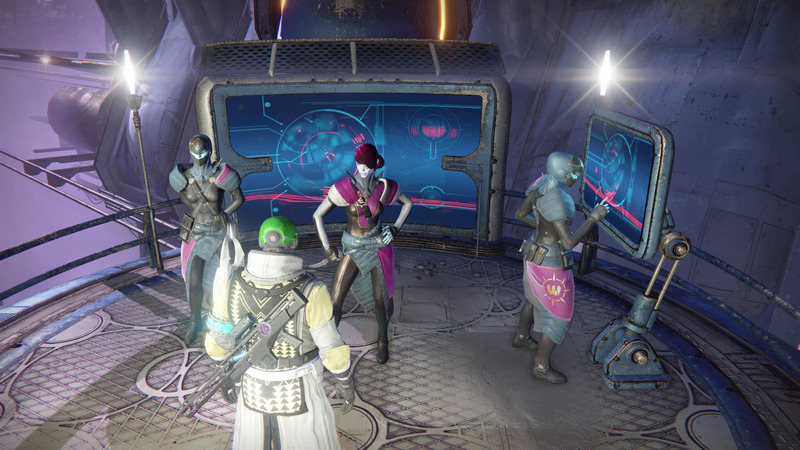 After your Guardian makes it to the Tower, they are recruited by the Speaker to fight for the Traveler. Your Guardian goes to Earth to follow up on a lead, and in doing so, activates an array, which in turn stirs the Warmind, Rasputin, from his slumber. Following Rasputin’s signals, your Guardian reaches for the Moon, only to find a piece of the Traveler being drained by three Hive witches. By freeing the shard, your Guardian allows the Traveler to begin to heal. While on the Moon, a mysterious figure known only as The Exo Stranger appears and tells your Guardian to meet them on Venus. 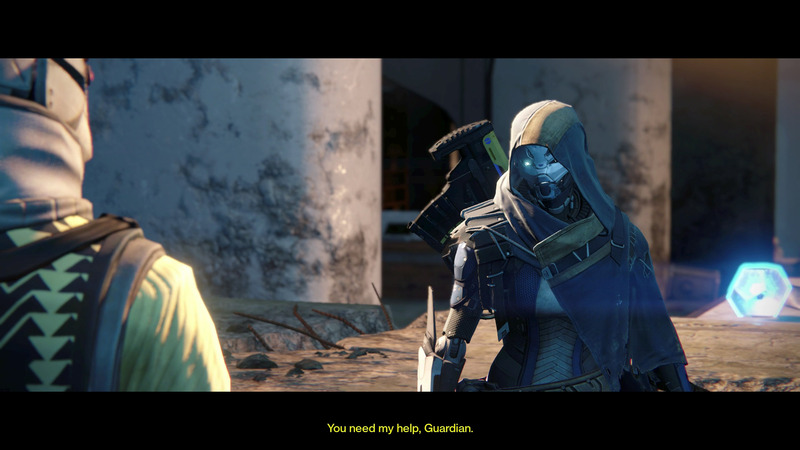 With no other leads to follow, your Guardian does as the Exo Stranger requests and heads to Venus. Upon reaching Venus, your Guardian encounters the Vex, a race of artificial intelligence so ancient and powerful it appears as if they are able to move through time. The Exo Stranger warns your Guardian of something called The Black Garden, said to hold the heart of darkness, an entity the Vex worship. Requiring more information, your Guardian reaches out to the Awoken, a thread of humanity that was once lost. The Awoken have lived on the skirt of our solar system in a place between light and dark. The Awoken Queen informs your Guardian that to access the Black Garden they will need an Eye of a Vex Gate Lord. After hunting down and killing a Vex Gate Lord, the Queen and her brother reveal the entrance to the Black Garden: Mars. Mars is home not only to the Vex, but the Cabal, an aggressive, warring species that arrived on the red planet some centuries ago. The Cabal are locked in battle with the Vex, and yet they do not make common grounds with your Guardian. After fighting both Vex and Cabal, your Guardian passes through a Vex gate and makes it to the Black Garden, an eerie place locked out of time and space. Pushing through the Vex resistence, your Guardian reaches the center of the Black Garden where the heart beats. Little is known about the heart, but after its defeat, a sense of calm is restored to a small section of the system. The progression of the Darkness has been halted. 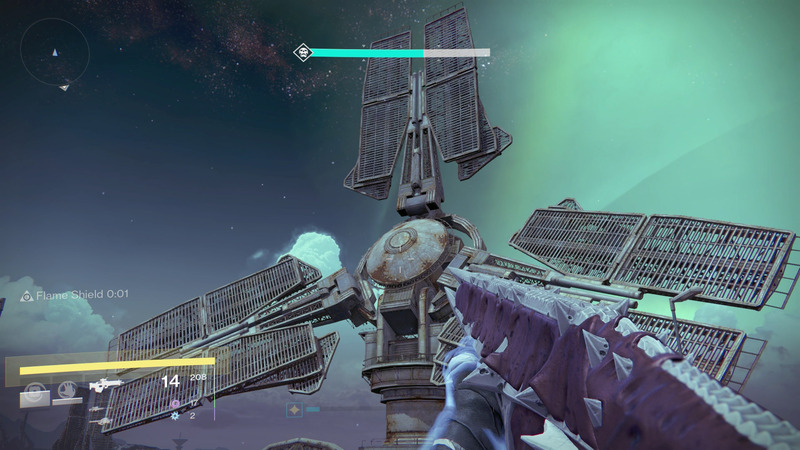 The Exo Strange gifts us a weapon and alludes to future struggles. Eris Morn, a Guardian thought to be lost beneath the Moon’s surface, appears with a warning: the Hive plan to invade. The Vanguard task your Guardian with defending Earth from the new Hive threat. On Earth, a Hive Wizard known as Omnigul is attempting to create a path for their Hive god, Crota, Son of Oryx. A clear goal is established for the Guardian: destroy Omnigul before she can summon her god Crota. Your Guardian tracks down Omnigul, preventing her rituals and finally silencing her screams. The threat of Crota’s emergence on Earth is halted but, the Hive haven’t stopped. They prepare the Moon for another ritual. On Eris’ request, your Guardian races to the Moon to stop the Hive from summoning Crota’s soul, and succeeding in this task, prevent Crota from entering our realm. Eris Morn’s requests don’t end here, as she knows Crota won’t stop. She tasks your Guardian with venturing into Crota’s nightmarish, interdimensional realm, and killing him. Your Guardian fights through the Hive realm and manages to slay a Hive god, Crota, Son of Oryx. The threat of the Hive is quelled once more. The Awoken Queen calls in a favor, and your Guardian answers. Skolas, a dangerous and mad Fallen Kell has returned to our system and is attempting to create a new Fallen House. Skolas begins bending other Fallen Houses to his will, starting on Venus with the House of Winter. Skolas then manages to bend the ever-enduring House of Kings on Earth. 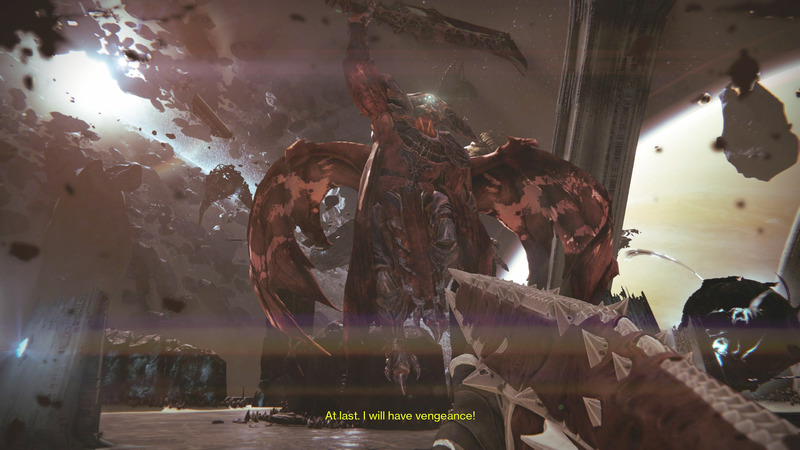 Skolas, claiming to be the prophesied Kell of Kells, rallies the Houses to Venus where he assaults the Vault of Glass. Your Guardian ventures below the crust of Venus and into the Vault of Glass where Skolas has been trying to tap into the Vex network; but to what end, it is unknown. The Queen’s right-hand, Petra Venj, detects Skolas at the top of the Vex structure, known only as the Citadel, and dispatches the Guardians to capture Skolas. Arriving at the top of the Citadel, your Guardian discovers that Skolas has managed to tap into the power of the Vex and is actively pulling more Fallen Houses through time to the present. After destroying the Vex gates and subduing Skolas, the Queen’s Crows capture the Kell and place him into the Prison of Elders. The Vanguard detect a Cabal distress signal originating from Mars’ moon, Phobos, and dispatch your Guardian to investigate. Upon arriving, your Guardian discovers the Cabal firebase in ruin with all Cabal units fleeing the site. With Eris helping through comms, she reveals the truth, Oryx, the Taken King has come for vengeance. After fleeing the scene and returning to the Tower, the Vanguard discusses the best course of action for dealing with Oryx, who has brought with him the full power of the Hive aboard his Dreadnaught ship. Oryx has come to claim what is his, and to seek vengeance for his slain son, Crota. Cayde-6 decides that, with the help of your Guardian, the best idea is to insert you behind enemy lines to establish a base of operations. Your Guardian sets off to acquire the necessary technology to achieve this, and through this discovers pockets of Taken enemies appearing across Earth. Oryx has launched a full invasion. 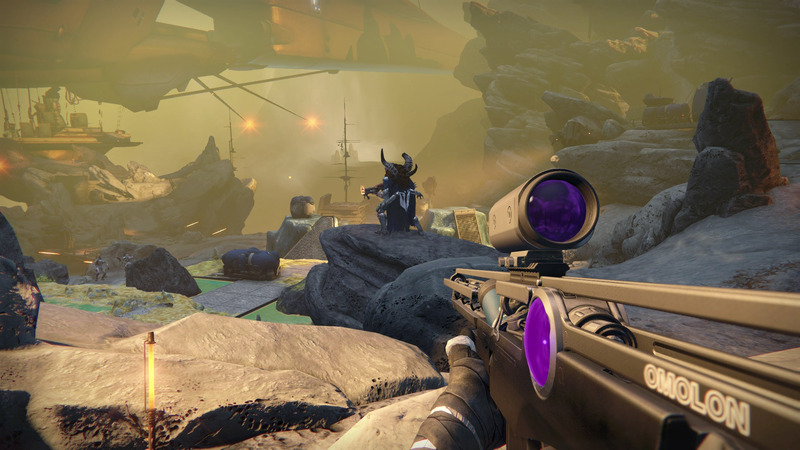 After breaching the Dreadnaught’s defences, your Guardian begins pursuing Oryx through his ship. The Cabal are discovered on board the Dreadnaught after their retreat from Phobos. The ever-aggressive Cabal have spearheaded an attack while they await reinforcements from their Empire. Your Guardian is unable to pursue Oryx through standard means as he is deeper within the vessel, on another plane of existence. Eris crafts a plan that will make your Guardian appear as an Ascendant Hive, allowing you access to the Hive portals. The plan involves capturing a shard of Crota’s soul, charging it, and then using it to pass through the portal. 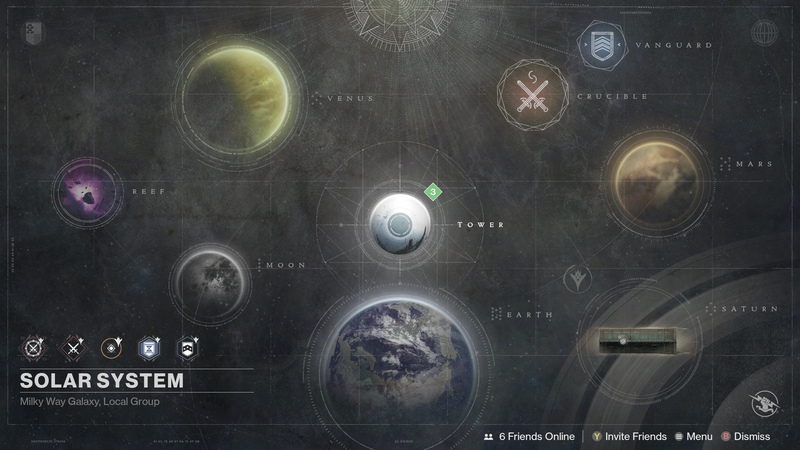 The plan works and your Guardian comes face-to-face with Oryx, The Taken King. As the battle ends, and your Guardian stands victorious, Oryx uses his remaining power to “Take” himself, transporting his physical being into the Taken realm, his throne room. 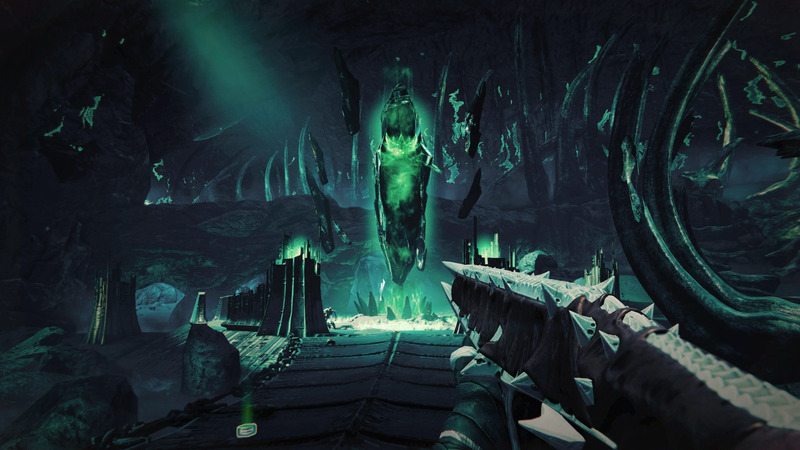 Your Guardian pursues Oryx into his alternate dimension, finds him in his throne room, and overthrows the Taken King. 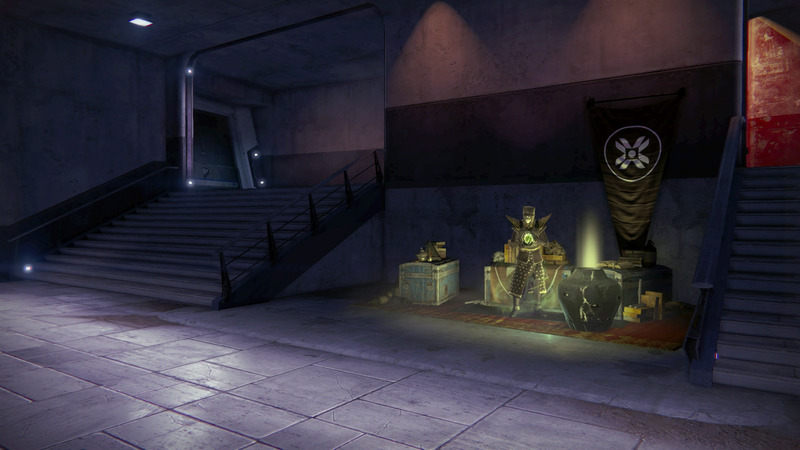 With the Taken and Hive threat eliminated, your Guardian returns to the Tower victorious. 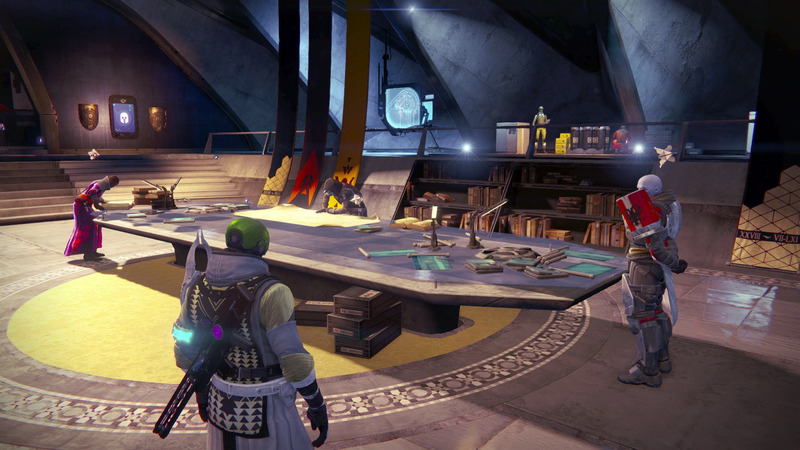 This is the Destiny story so far, and this is where it ends for your Guardian. Threats against the system have been quashed for now. All that remains is to prepare for whatever threat looms ahead in Rise of Iron.